… so if you have not downloaded it, do it now (keep reading). This book is a guide to key concepts for successful trading in the modern markets. As most of you may know, modern markets are governed by High Frequency Trading (HFT) and Program Trading, two classes of modern Algorithmic Trading (AT) that has an overwhelming presence is today’s markets. While HFT can hardly be relevant for retail traders (like us!) because it’s too fast to allow a reaction (so I suggest you don’t even try to trade during BCE or FED days, unless you know what you are doing), Program Trading is a more silent, less visible but very powerful class of automated trading. It is very important to know what Program Trading is doing on different timeframes. Don’t miss the eBook! This eBook has the potential to turnaround your trading or start you with a the right step if you are a new trader (click on the below image to download). Abstract: Are you interested in trading or a seasoned trader but still not part of that elite 5% of consistent traders? Do you want to be a successful trader regularly extracting profits out of the markets? If so, it is important you start thinking of trading from a different perspective, as well as, start doing something differently. One thing could be to re-focus on those key concepts that truly describe, explain and affect price behavior. If you are a new or inexperienced trader you will benefit from the content of this book much more than more experienced ones. The reason is that you have a unique opportunity to shape up the right beliefs and mindset about trading from the very beginning. Traders with experience will need to work a bit more to change or slightly modify their current beliefs, as needed. But if they face the effort they will be able to quickly turn around their trading. The key concepts presented in this eBook help understanding the psychology behind price moves, mainly driven by emotions in a way that rationalizing market behavior is not relevant and even counter-productive for successful trading. For instance, all the hype on market news and on its interpretation is misleading. News can and will only affect price on the smaller timeframes like 15min and 4-hour, but very often (if not always) it will have no effects on price patterns already in place, neither will on the outcome of well-formed daily and weekly setups. In trading perception is much more important than facts and their rational interpretation in relation to how price could and will be affected, i.e. what is the anticipated traders’ reaction after a key event. An introduction to each of the five concepts that are paramount for trading success will prepare the trader to build the needed beliefs or help shifting the existing beliefs in order to (re)learn how to trade successfully. If you have been in the trading system for some time, you will have realized that trading success requires useful and focused beliefs and the right psychology. The concepts presented in this book are counter-intuitive and challenge the widespread ‘truths’ of trading. Probably this is the reason why it is meaningful to analyze and study them carefully. A deep understanding of key concepts will also help understanding where the real profit opportunities lie. I have been invited to speak by Dale Pinkert at fxstreet.com in a webinar on Forex, Futures and Stocks . Dale is a great analyst and trader, has over 30 years of trading experience specializing in commodity futures & currencies. Dale is a former Member of The CME(IOM) and has also appeared on CNBC. The date and time are still to be defined. The webinar will be free and I will let you know how to register for those of you who are interested. I completed and shared on the Blog the new paper for the SIAT Journal (Societa’ Italiana di Analisi Tecnica, Italian chapter of IFTA). The article’s title is: “The effects of High Frequency Trading (HFT) on Markets and Program Trading”. The paper was published last week and focuses on the negative effects of High Frequency Trading on price structure and market liquidity. The abstract is available here in Italian and English Language. The paper is now available on the Blog’s page ‘eBooks & Papers‘ only in Italian language, at the moment (but I will translate it soon). A few months ago I have planned a new project, an eBook titled “Key Concepts to Correct Trading Behavior – A guide to relevant concepts for trading success in a market governed by High Frequency Trading (HFT) and Program Trading”. The eBook focuses on the most important concepts any trader should internalize in order to implement a correct trading behavior, in a world where the majority of trading volume (from 35% to 75%) is generated by computer programs. I have completed the eBook and I am in the draft review phase and I will only be able to finalize it after I will have completed my paper for the Technical Analyst of Year 2013 SIAT contest in Italy. The most important section of this eBook will illustrate a practical application of the Bandwagon Theory to the daily chart of the EUR/USD forex cross. I will let you know when the eBook is out. If you want to be an early bird and help me with the review please inform me of your interest by sending an email to: fibonaccistalker@investidea.biz. Thank you in advance. On October, 24th 2012 I held the video-live event organized by SIAT and Traderlink. Such event was reserved only to SIAT members, the Societa’ Italiana di Analisi Tecnica (local chapter of IFTA, the International Federation of Technical Analysts). Some people showed interest and in the coming weeks I will share the Italian version of the material and then start recording a few videos covering the content of that event in English language. This material will also cover my proprietary timing technique called Fibonacci Stalking (that also gives name to my Blog). Please inform me of your interest for this material by sending an email to: fibonaccistalker@investidea.biz. Thank you. In the last week of the month of November I have started reviewing and offering video analysis for major and widely-followed stocks. I call this series of analysis FibStalker View on Stocks. So far I have analyzed the following stocks (tickers): AAPL, ACN, BAC, BIDU, GOOG, GS, HPQ, RIMM, NFLX. I will soon add Facebook (FB). You can find the video analysis in my Blog’s ‘Stocks & ETFs’ page. More and more stocks and ETFs will be added going forward. If you like to have a stock analyzed, please inform me of your interest by sending an email to: fibonaccistalker@investidea.biz. Just make sure the stock is widely followed and trades high volume.Thank you. In the last week of the month of November I have started analyzing other widely-followed forex pairs. I call this series of analysis FibStalker View on Currencies. In my list I have, so far: EUR/USD, GBP/USD, AUD/USD, USD/CAD, USD/JPY, EUR/AUD, NZD/USD. I will add other pairs as we move forward. You can find the video analysis of the current forex pairs I cover in my Blog’s Forex page. If you like to have a forex pair analyzed, please inform me of your interest by sending an email to: fibonaccistalker@investidea.biz. Thank you. an update on my eBook. This free eBook (and being free it could mistakenly be thought as if of no value) is still not out. I have explained the reasons in my free newsletter (you can subscriber here). 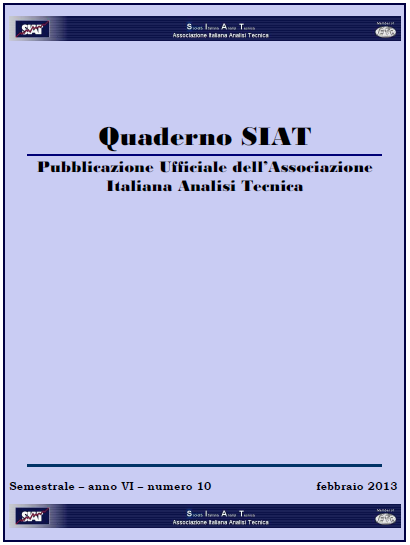 Basically I have been involved in my latest article for SIAT (www.siat.org), the Italian chapter of IFTA (www.ifta.org) and throughout all February 2012 I will be taking part to the ‘Technical Analyst of the Year 2013’ in Italy. 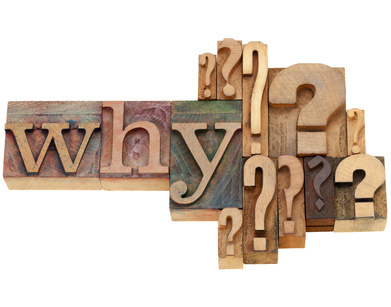 For these reasons I will publish the eBook in May 2013. Relatively few people care about the right trading behavior that we all should carefully study and adopt, in a world where 30% to 75% of trading volume is generated by High Frequency Trading (HFT) and Algorithmic Trading (AT) techniques and systems. However even fewer people and traders realize how different the trading environment is nowadays and how important is to internalize the correct trading behaviors in these difficult times. Plus, trading like a machine can really give traders an edge. Here you go, this is it. “Key Concepts to Correct Trading Behavior – A guide to relevant concepts for trading success in a market governed by High Frequency Trading (HFT) and Program Trading”. You can read here an introduction to the series of articles that inspired the eBook. Thank you for your interest (even you don’t fully understand what this is all about!). 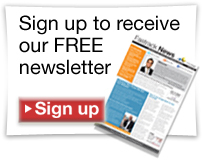 Subscribe my free newsletter to get ideas on stocks, forex and futures setups, learn more about the Cash/Hedge Trading Method and how I analyze price. I do every effort to offer newsletter content in both English and Italian languages, but some articles or reviews will only be in English (or Italian), so I ask you to be patient. Anyway, with time I will try to make available the most important content in both languages . I will only post detailed updates of my trades and trade management in my free newsletter. Register for free here. If you like this website, please recommend it to your friends. If you want it to be better, please, leave me a feedback (comment below).